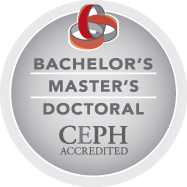 Meredith Minkler Dr.P.H. ’75, M.P.H. ’70 received the Bobbie Singer Leadership Award at LifeLong Medical Care's annual celebration dinner in March. Minkler, professor of health and social behavior at the UC Berkeley School of Public Health, was recognized for her role in the development of community-based participatory research and for her community-based research and activism in the San Francisco Tenderloin, Chinatown, the East Bay, and statewide. 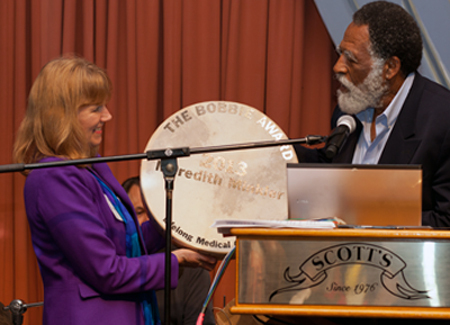 The award is named in honor of health care advocate Bobbie Singer M.P.H. ’65, who was the first board president of the Tenderloin Senior Organizing Project, a 16-year effort to create tenant associations to fight for the rights of low-income elders in San Francisco’s single-room occupancy hotels. Minkler and UC Berkeley graduate students cofounded this project in 1980. Minkler is the founding director of the UC Berkeley Center on Aging and has more than 35 years’ experience in conducting survey and interventions research on health and social issues facing older Americans. She also heads the California Senior Leaders Program and has co-authored or edited eight books and 130+ articles. LifeLong Medical Care is a nonprofit organization that provides high-quality health and social services to about 22,000 underserved people of all ages each year through its network of clinics around the Bay Area.